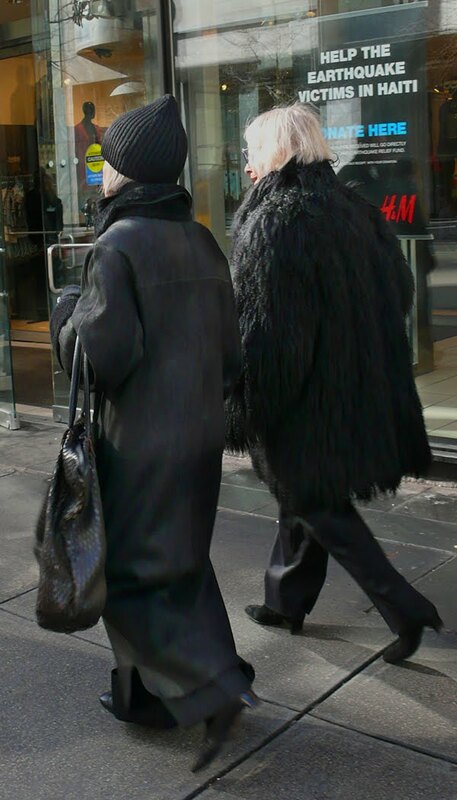 Long black shearling coat and her friend is covered in luscious shag. Marching out like a lamb. Signs of Spring in Daffodil Yellow. A touch more of the Blarney. The wearin' o' the green. Street performer with his yellow sax. Bobbie, in the St. Patty's Day spirit. Tim, looking very current in vintage sweater.